Single Father Plays On Synthesizer While Daughter Sings Song Into Microphone. Accompaniment. Fatherhood. の写真素材・画像素材 Image 103212528. 写真素材 - Single father plays on synthesizer while daughter sings song into microphone. Accompaniment. Fatherhood. 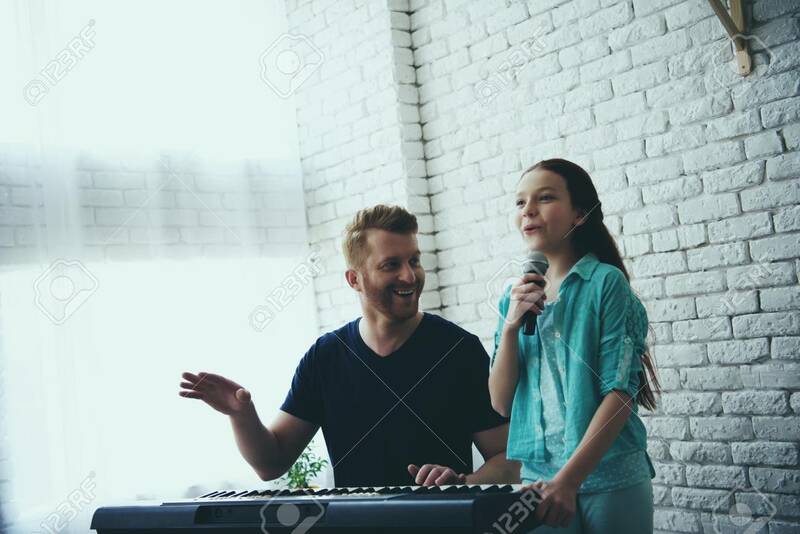 Single father plays on synthesizer while daughter sings song into microphone. Accompaniment. Fatherhood.